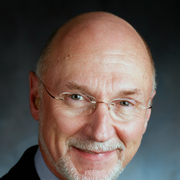 Dennis C. Stevens, MD has served as the Medical Director of the Boekelheide Neonatal Intensive Care Unit of the Sanford Children’s Hospital and the Chief of the Section of Neonatal/Perinatal Medicine of the Department of Pediatrics of the Sanford School of Medicine of the University of South Dakota since July 1, 2011. He was also appointed the Interim Chairman of the Dept. of Pediatrics of the Sanford School of Medicine on October 1, 2011. Dr. Stevens has practiced in the field of neonatology in Sioux Falls, SD since 1980. Over his career Dr. Stevens has published widely the results of his research, especially that involving the impact of the neonatal intensive care nursery environment upon the developing premature newborn and family. He has also authored a number of federal grants through HRSA which have funded an ongoing educational program regarding the evaluation and ongoing treatment of infants and young children with disabilities and special healthcare needs. For his work in the field of disabilities, Dr. Stevens was awarded the Outstanding Achievement Award by the Association of University Centers on Disabilities in Washington DC in 2010. In 2007 he received the Pioneer Award from the South Dakota Perinatal Association for his work in the Neonatal/Perinatal Medicine.